No-hire clauses, or those which prohibit ex-employees from enticing away former co-workers, are generally viewed as a less problematic restraint of trade in most states. 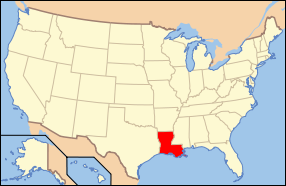 In Louisiana, they do not even fall under the state'e non-compete statute. The appropriateness of damages for breach of a no-hire clause, however, is a more vexing problem for employers. In Overland Solutions v. Christensen, the court found that the general manager of a premium audit services company violated a no-hire clause which prohibited him from enticing away co-workers for a year following his termination of employment. The defendant offered jobs to eight Overland employees and hired five of them within a year after he resigned from Overland. At trial on the issue of damages, Christensen acted pro se and defeated the damage claims against him entirely. The problem for Overland was its presentation of the evidence: it simply could not show that the costs it claimed as damage components were incurred as a result of Christensen's solicitation of former employees. Most notably, Overland claimed as damages the costs of training and replacing the solicited employees. However, it included in its damage calculation an array of fixed costs it would have incurred regardless of whether the solicitation ever occurred. On the issue of training pay, Overland's presentation of evidence was unconvincing because the costs it incurred in expending training pay was less than the salaries that would have been paid to the five employees who left as a result of Christensen's wrongful solicitation. As a result, the court simply held the evidence was too speculative to support any kind of lost profits damage award. In cases involving breach of no-hire covenants, injunctions against further solicitation of employees seems to be the most widely available remedy. On this score, courts likely won't apply the injunctive relief to require a defendant from terminating someone who was wrongfully solicited and started work before the order of injunction is entered. So for that category of employees, a damage award would seem to be the most practical remedy. But proving it is a different matter. Practitioners always must consider the exacting standards required by courts to satisfy an award of lost profits. The presence of multiple intervening causes and speculative evidence often reduce, or eliminate, lost profits awards in competition cases. For this reason, reasonable liquidated damages clauses should be considered to provide a remedy for breach of a no-hire clause.